Amy studied Art and Graphic design up to A-level, despite the Grammar School she attended always encouraging more academic subjects. After results day, she turned down a place to study English Literature at University in order to do her Art foundation year at Lincoln Art College. Amy travelled 2 hours by bus each day to attend the course in Lincoln. Here, she finally had the space and materials to try a number of different creative practices, before settling on her passion for textiles. She then went on to study Fashion Design and graduated from The University of Lincoln in 2011. Following her graduation, Amy completed a residency in Sweden for a Festival, working on designing and making elaborate costumes for the dancers of the Carnival. There is no doubt that her background in fashion inspires her paintings. The development of creating textile designs and her new collection of paintings share similar processes. Building and developing characters, giving the animals personalities, truly brings the artwork to life. The vibrant colours of the characters immediately catch your eye against the neutral Farrow and Ball backgrounds  an interior designers dream! The bold bitumen outlines give the work a real punch of contrast. Theres something magical about these cheeky little characters. You could have a taste of paradise from an exotic bird sitting comfortably next to a British Hare. 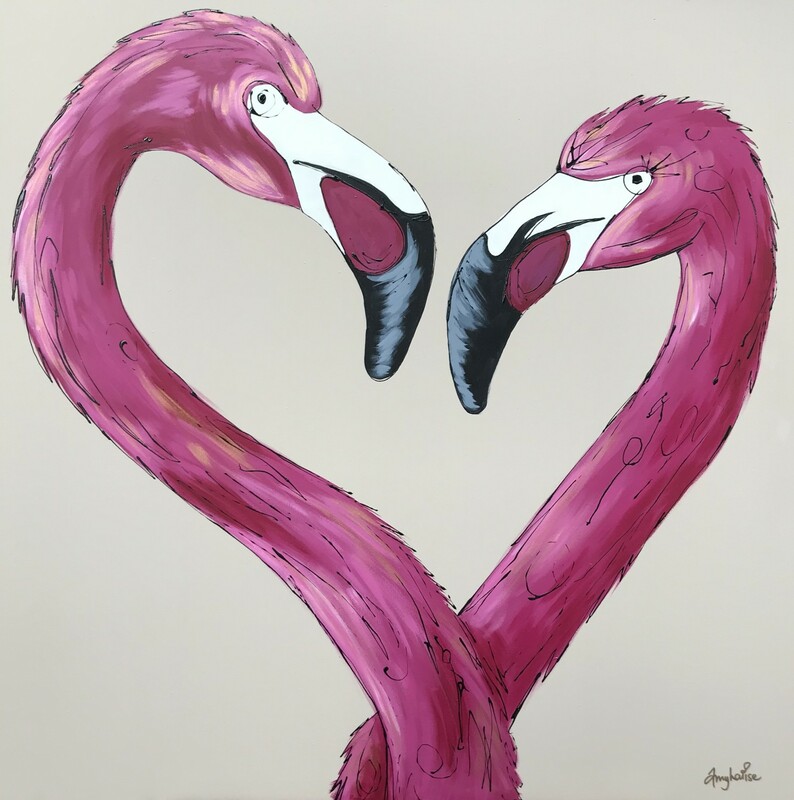 We are delighted to be launching Amy Louise and her feathered friends here at Westover Gallery.